Celebrate Fourth of July seaside and in-style as BalQony at Hilton Fort Lauderdale Beach Resort hosts an Independence Day party unlike any other in Fort Lauderdale. Enjoy the best view on the beach and a complimentary champagne toast as the fireworks light up the sky and ignite the night, all while partying under the stars on the scenic fourth floor lounge terrace surrounded by endless view of the Atlantic. Attendees will enjoy mouthwatering barbecue samplings and signature patriotic drinks as a guest DJ spins non-stop beats on the open-air rotunda. Offering dramatic views of the azure water and splendor of scenic Fort Lauderdale beach, BalQony is the premier new event destination in South Florida. Located on the fourth floor of the Hilton Fort Lauderdale Beach Resort, the sophisticated bar and lounge terrace officially made its debut in March 2015, created for guests of the property and the general public as an adults-only hideaway, providing a respite from the hustle and bustle of downtown and the activity at the resort pool. With an upscale, beach-chic atmosphere, delectable food and drink offerings, and luxury food and beverage services, BalQony provides a high-end, indoor/outdoor lounge and dining experience unlike any other in Fort Lauderdale. Open to hotel guests and the general public, BalQony is Fort Lauderdale’s prime seaside destination to enjoy a quick bite or power lunch, drinks with friends or co-workers, a night out on the town, and more—all while surrounded by endless, breathtaking views of the Atlantic. The BalQony Independence Day Celebration will take place Saturday, July 4, 2015 beginning at 6pm to 11pm at Hilton Fort Lauderdale Beach Resort, located at 505 N. Fort Lauderdale Beach Boulevard in Fort Lauderdale. The event is open to the public and free to attend, with private cabanas available starting from $250 for groups of six. Cabana accommodations are limited and highly-recommended to be arranged in advance. For reservations and more information, call (954) 414-2630. 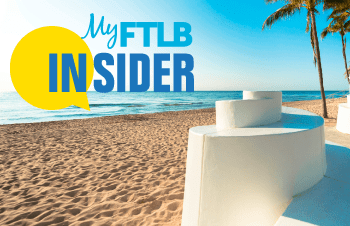 Hilton Fort Lauderdale Beach Resort is a 25-story, all-suite flagship luxury residential resort featuring 374-elegantly appointed studios, one, two and three-bedroom residences and ideally situated on the world-acclaimed shoreline of Fort Lauderdale beach. Guests of the resort experience extreme indulgence with European spa treatments, world-class cuisine, and poolside activities at the property’s 25,000 square foot tropical enclave overlooking the Atlantic Ocean. Hilton Fort Lauderdale Beach Resort is located at 505 North Fort Lauderdale Beach Boulevard, Fort Lauderdale, Fla. For reservations or more information call 1-800-HILTONS (1-800-445-8667) or visit www.fortlauderdalebeachresort.hilton.com.